Ever wished your hair was more manageable? Softer? Smoother? Had more shine? brazilianSmoothing treatment it your answer! 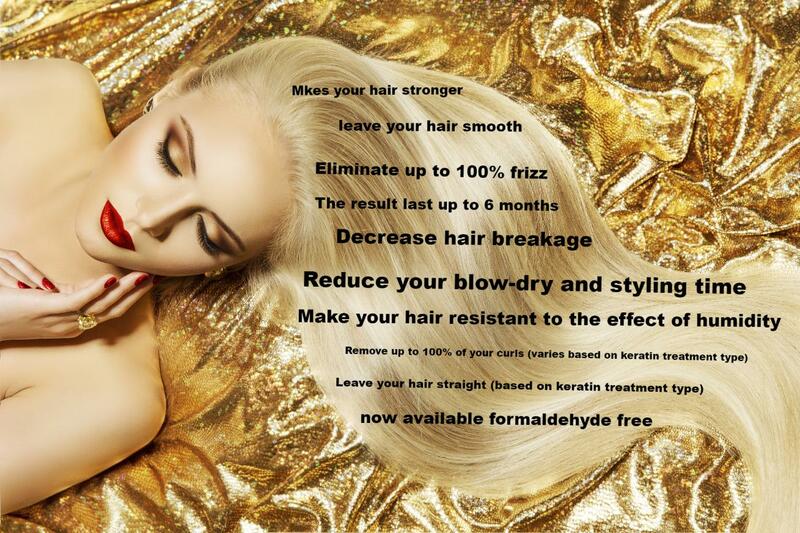 Brazilian Blowout Professional smoothing treatments are the most innovative and effective in the world. Through the use of innovative and breakthrough bonding technologies, these treatments actually improve the health and condition of the hair by creating a protective layer around the hair shaft to eliminate frizz and smooth the cuticle. Our Brazilian Keratin treatment will bring back your hair elasticity, softness and natural shine. It can also be used to help permanently straighten naturally coarse, curly or frizzy hair. Our Keratin straightening treatment is completely free of the toxic of formaldehyde, complying with the latest Canadian health regulations. The 100% Organic components make sure that your hair-smoothing treatment gets you healthy and beautiful results. You have No time to go to a salon? No problem - We offer our Keratin treatment services everywhere in Ottawa and Gatineau in the comfort of your own home. We also work in a private home salon because our clients’ privacy it very important to us and we also offer our hair treatment services to Muslim women clients who wear the hijab.